JUST ANNOUNCED: Cheech and Chong’s “O Cannabis Tour” Coming to Penticton! Cheech and Chong announce all new show coming to the South Okanagan Events Centre on October 9, 2019 that features 50 years of beloved stories, skits and songs. See skating superstars Tessa Virtue, Scott Moir, Patrick Chan and MORE at Rock The Rink - an annual tour that focuses on being more than a figure skating show. Grammy award-winning artist Ghost announces a six-week North American headline tour that will see the Swedish rock band’s elaborate rock theatre presentation metamorphose into a full-on arena production. Legendary hip-hop artist Gucci Mane embarks on first-ever Canadian Tour this Spring! Legendary Atlanta hip-hop artist Gucci Mane will embark on his first-ever Canadian Tour this Spring in support of his new album “Evil Genius”. Featuring Canadian artists Merkules & Peter Jackson, Gucci’s tour will make a stop in Penticton at the SOEC on Tuesday, May 28. 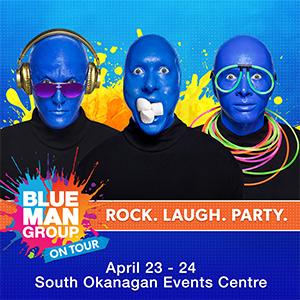 BLUE MAN GROUP, the world-renowned entertainment sensation, is thrilled to announce that it will be visiting Penticton as part of its World Tour on April 23 and 24, 2019 . 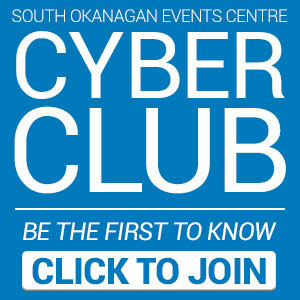 The award-winning stage show, known for its trio of bald and blue performers, will be performing at the South Okanagan Event Centre for TWO SHOWS ONLY. Two Country Icons, Dallas Smith & Dean Brody, Band Together for EPIC Fall Tour!